Christina Grant is a contemporary British artist. Her work continues to be inspired by the classical masters, old sepia photographs, nature and the beauty and mystery created by the markings and deformation of time. 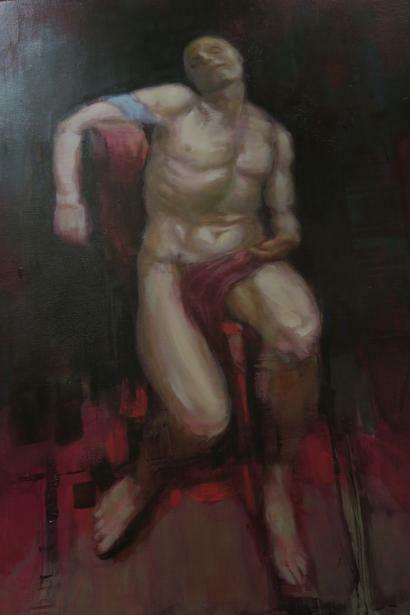 The artist works with oil paints on canvas, glass and acetate, painting the figure in a classical style which is later distressed with paint washes and seemingly random textural marks. Her work is described as dark, deeply moving, mysterious, melancholy, and sensual. Christina graduated from the RCA in 1984 spending most of her working life in London and Brighton. The artist now resides and paints in Barcelona feeling a deep creative connection to its unique atmosphere.